Take a bus from Central City Bus Terminal to Haenam Bus Terminal. Approx. 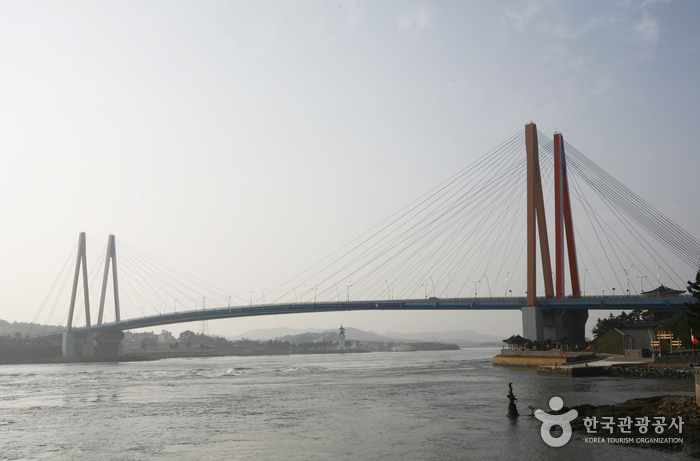 25 min from Haenam Bus Terminal to Woosooyoung Tourist Attraction. Approx. 25 min from Haenam Bus Terminal to Admiral Yi Sun-sin Victory Park. 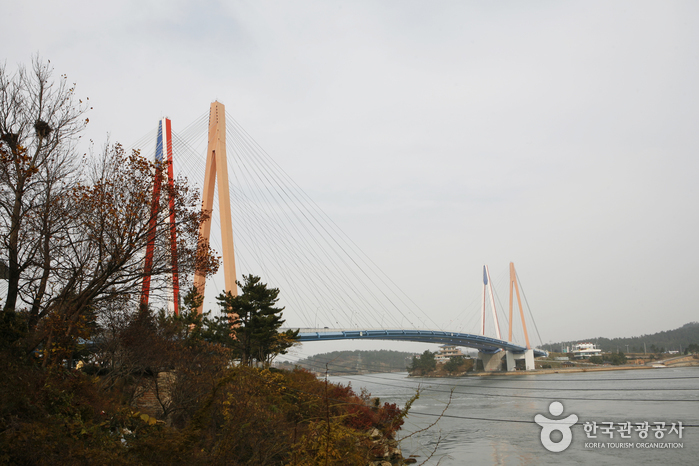 Jindodaegyo Bridge measures 484m in length and 11.7m in x_width, and is located between Nokjin-ri, Gunnae-myeon, Jindo-gun and Hak-dong, Munnae-myeon, Haenam-gun on National Road No.18. The bridge has been a popular tourist attraction since its completion on Octover 18th, 1984. 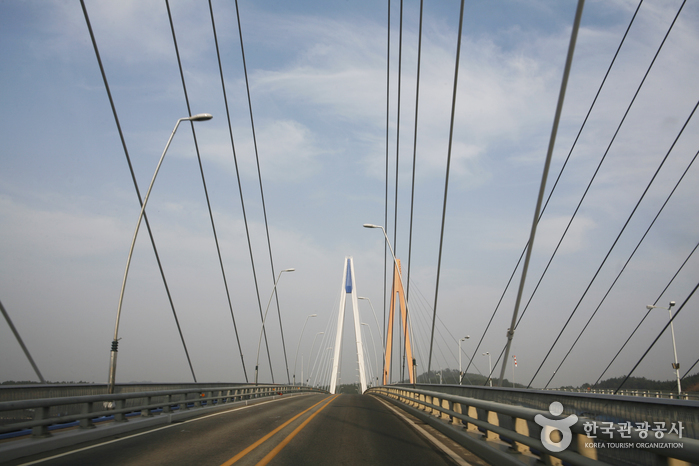 On December 15th, 2005, the second Jindo Bridge opened. Visitors can observe the breath-taking beauty of the sunset and evening views from the bridge while enjoying the fantastic nearby scenery. Uldolmok is also known as the location of Myeongnyang Daecheop, one of the three major naval battles won by Admiral Yi Sun-sin. Uldolmok, a passage to the West Sea, is a strait between Haenam and Jindo. 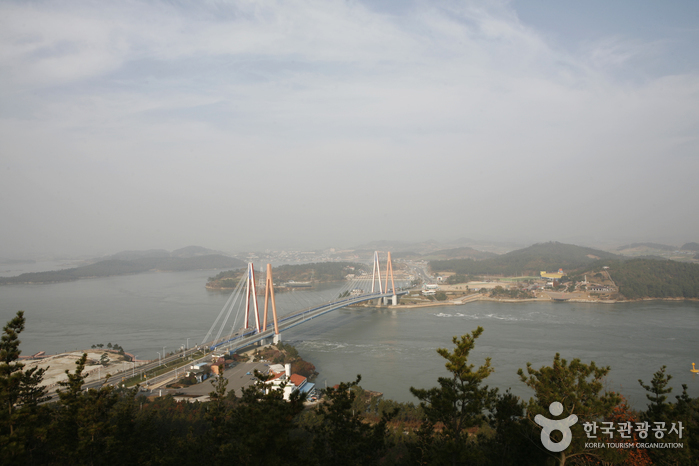 The x_width of the strait is only 294m, which is similar to that of the Hangang River. 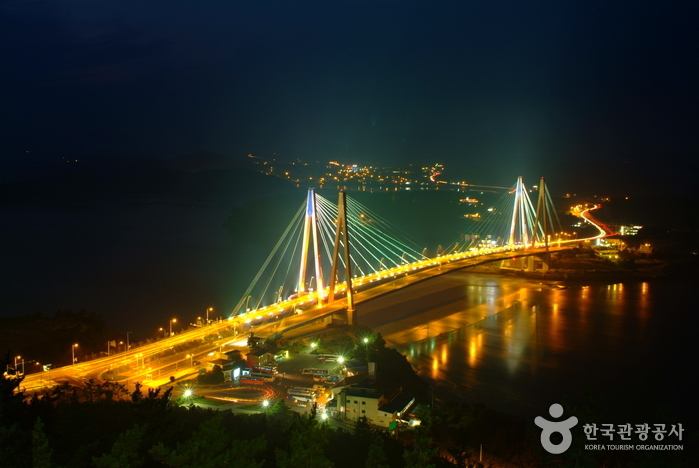 Jindodaegyo Bridge is the most accessible gateway to Jindo Island, a place with many local specialties and unique cultural arts.